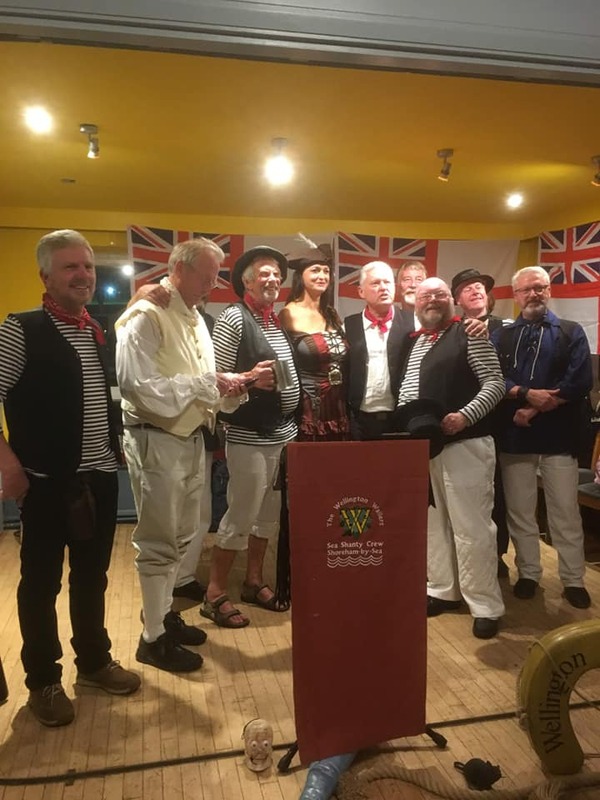 WE ARE A SEA SHANTY GROUP BASED IN SHOREHAM-BY-SEA WEST SUSSEX. BN43 6RE . WE SING HERE ON THE THIRD THURSDAY OF EACH MONTH. CHECK EVENTS FOR UPDATES. Design and Artwork for High Tides and Low Life' C D Cover and Image by Shanty Man, Martin Frost. For more details and purchase of the 'High Tides, Low Life' CD please Click Here! 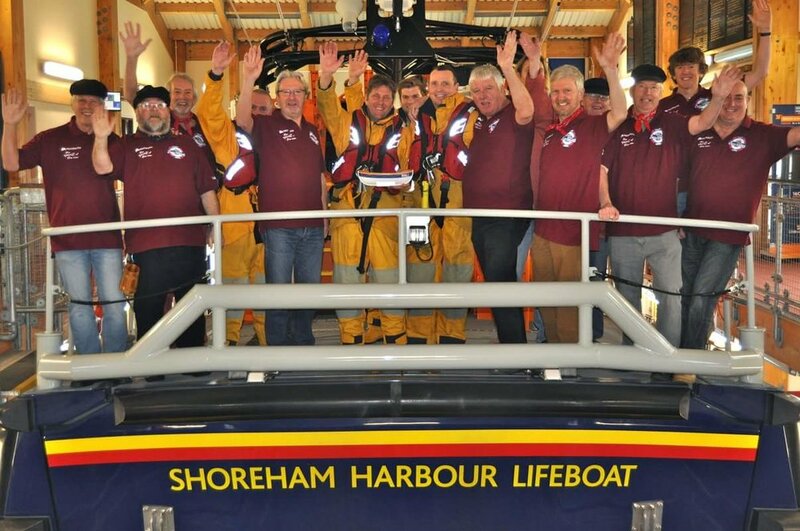 Purchases will include a £5.00 donation to the RNLI. You can now also hear this album on SPOTIFY, iTunes and other music streaming media! or Click SPOTIFY on our Masthead at the top of the page, to hear us while you browse our web site! We perform in pubs, clubs, concerts and festivals! We also perform at private functions, such as parties and corporate events. Contact us if you wish us to be part of your special event! Follow us now on Twitter @Wellington_Wail and on Facebook. It would be great to hear from ye! Navigation Signal: Click on the links in our 'Masthead' at the top of each page to navigate to a page of your choice. Some browsers show our WEBSITE MENU as a lined box in the top left hand of the screen. Click on this, on any page to navigate, or use the links below; 'RIGGING' is a Members only link. Ahaaaaargh!